Wool and Wheel: Mini Reviews: Stalag 17 and Mrs. Miniver. Mini Reviews: Stalag 17 and Mrs. Miniver. About a month ago, I watched two classic movies about WWII that I had never seen before. Since they both took place during the same era, I decided to write about them together (like I did with Into the Woods and Cinderella previously). 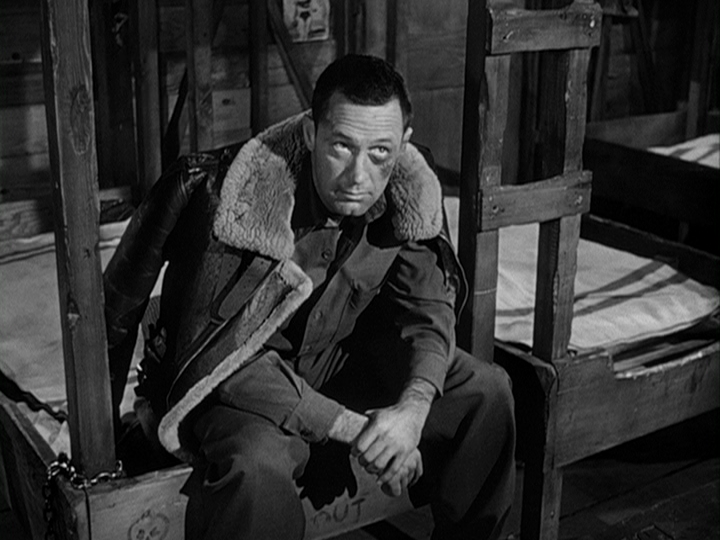 As someone who loves classic movies, I'd always heard about Stalag 17, but honestly the only thing I knew about it was that starred William Holden. Oh, and that it was some sort of war movie. I didn't even realize that it was about prisoners-of-war because I didn't know that "stalag" was the German term for a POW camp. 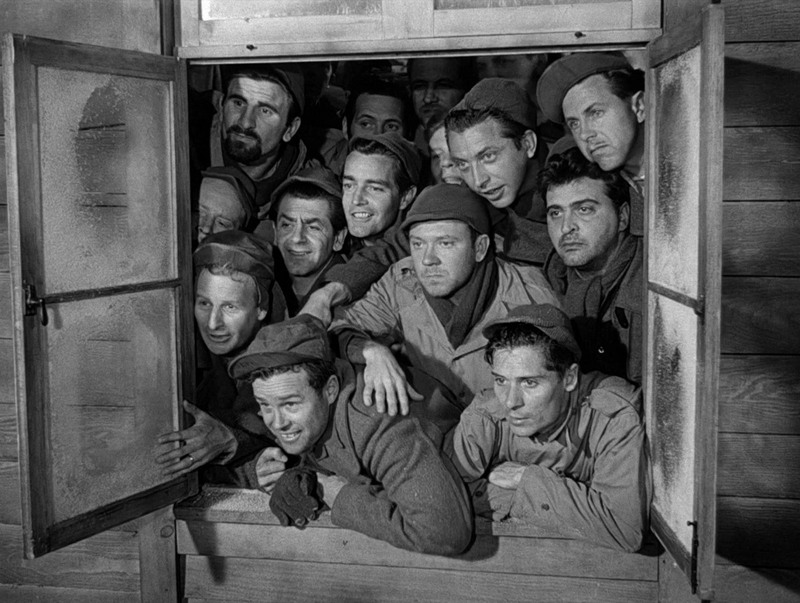 I loved Stalag 17! It was different from what I was expecting, but better. I've seen plenty of classic films (and BBC mini series) set during World War II, but I don't watch many "war films": ones where the war is a major plot point instead of just the setting. And this was the first film I'd ever seen that was about prisoners-of-war. At first, I thought that the movie probably wasn't very realistic...I guess I expected that the Germans would have treated Allied soldiers much worse than was portrayed in the film. 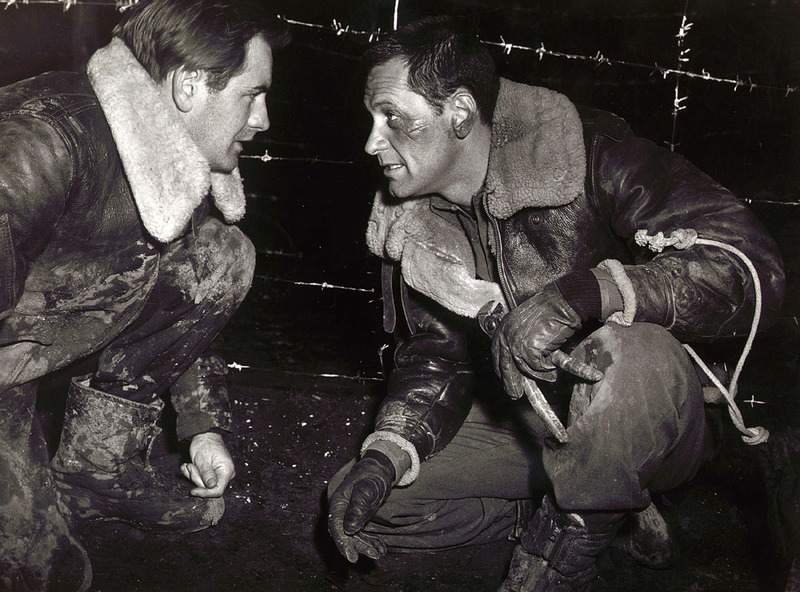 But the film was adapted from a Broadway play that was written by real POWs, based on their experiences. So maybe it was more realistic than I realized? William Holden's character was not at all what I expected! He generally plays a nice guy, but he's kind of a jerk in this film. He's not a bad guy, exactly, but he's not very likable, either. He had grown on me by the end, though. Holden actually won the Oscar for this role, though it's generally accepted that the award was more for his part in Sunset Boulevard (one of my favorites) several years earlier than for Stalag 17. I liked the mix of drama, suspense, and humor in this movie, though sometimes the humor was a little too over-the-top for me. (Like in another Billy Wilder film, Some Like It Hot...I don't like that movie.) But overall it was just really good. Also, while it might paint a lighter picture of the conditions that POWs had to endure, at least it brings attention to them. There was a special feature where they interviewed men who were prisoners-of-war during WWII, and it was fascinating and heartbreaking. I can't remember the estimated number of POWs, but I couldn't believe how high it was! It seems like an aspect of WWII that is often overlooked. Okay, now on to Mrs. Miniver. This was another classic movie that I'd always heard about but didn't know much about. I knew it was a WWII film, but I didn't realize it was set in England. (I know that the war was difficult for everyone, but goodness...the English really had it hard, dealing with air raids and everything!) It's about a lady (obviously the title character) and her family, and how their everyday lives are affected by the war. I always assumed that Mrs. Miniver was made in the 50s or sometime after the war was over, but it was made in 1942. Even though the film is depressing, it still manages to be hopeful. That amazes me, because at the time, nobody knew how things were going to end. For all they knew, Germany was going to invade England. Even though I appreciated the film, I didn't love it like I expected to. It won six Oscars, but honestly it didn't feel that memorable to me (though there were some suspenseful moments). Also, I was distracted during most of the movie, waiting for one particular thing to happen, because there was a big spoiler printed on the envelope (thanks a lot, Netflix). But the spoiler wasn't accurate, so I spent most of the movie anticipating the death of one character when it was actually another who ended up dying. Have you seen Stalag 17 or Mrs. Miniver? What did you think? Yes, seen them both and love them both! WWII movies are some of my favorites. :) Hogan's Heroes definitely drew from Stalag 17, and also The Great Escape. 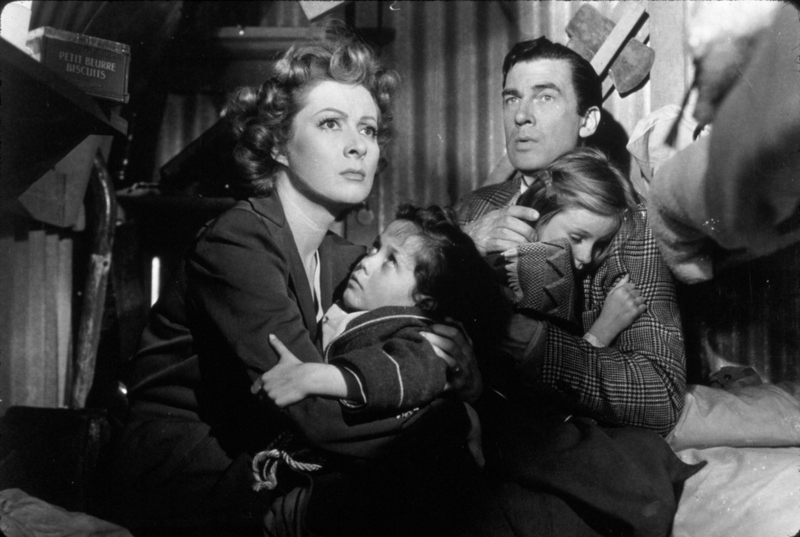 I really liked Mrs. Miniver, if for no other reason than it was a different perspective on the war. And yes, when I found out the Greer Garson was married to that guy, it creeped me out! ;) Loved your reviews! I've seen a decent amount of classic movies set during WWII, so I'm not sure why I'd never seen these two before. :) Yeah, Mrs. Miniver was a different perspective. Up until the last year or so, I had never seen any movies or read any books set in England during the air raids...it must have been terrifying. Glad I'm not the only one who was creeped out. :) I know she was only 11 years older than him, so not old enough to actually be his mother, but still. It's weird. Three knitting skills that scare me. The Wool and Wheel shop is open! Cover love: middle grade books.